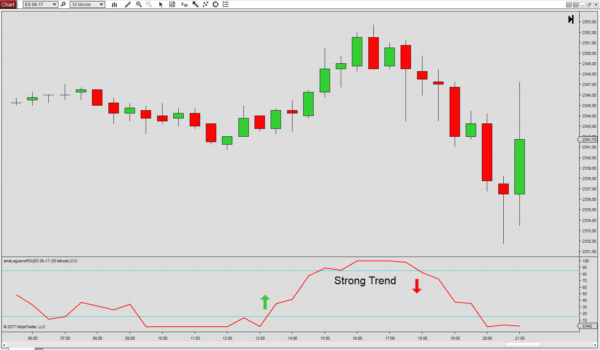 This is a modified version of the well-known relative strength indicator (RSI). Created by John F. Ehlers, the Laguerre RSI reduces noise and minimizes lag, resulting in a more responsive technical indicator with fewer whipsaws. The Laguerre RSI is a modified version of the standard RSI with reduced noise and lag. The indicator is more responsive to price and has fewer whipsaws. The idea is to buy when the indicator crosses above 0.15 and to sell when it crosses below 0.85. A uptrend is considered strong when the indicator stays flat above the 0.85 level, whereas the opposite is true when it stays flat below the 0.15 level.